According to Xu Shaoshi, director of the National Development and Reform Commission, the investment in the future is mainly to invest limited government investment in key areas and weak links in economic and social development, mainly including: Key construction tasks for the â€œTwelfth Five-Year Planâ€, shanty towns Transformation and municipal supporting infrastructure, transportation infrastructure, urban infrastructure and public service facilities, upgrading and upgrading of rural power grids, energy projects with construction conditions, restoration and reconstruction after Lushan earthquake. Therefore, as Xu Hongcai, Minister of Information of the China International Economic Exchange Center stated, this round of investment is through incremental capital investment, which drives the adjustment of the stock structure and economic structure of capital, and the government is no longer taking care of it. Its funds only play a guiding role. It is more about giving investment opportunities to the people and the market. The old version of RMB 4 trillion is focused on â€œstimulating the economyâ€ as a tornado is overwhelming, while the â€œnew RMB 4 trillionâ€ focuses on making the right investment. It is aimed at the governmentâ€™s investment in adjusting the industrial structure and bringing about social capital. It is even more important than the old version. It's like rain is calling spring back to the earth. Therefore, in the face of the new situation, Chinaâ€™s â€œfour trillionâ€ Chinese construction machinery cannot be blindly pleased. Instead, it should think more about how to adjust the strategy and seize opportunities. It is well known that after-sales service is an indispensable part of construction machinery. High-quality after-sales service not only promotes the sale of new machines, but also is an important means to increase profitability in the post-market. With the gradual clearness of the â€œrounderâ€ of the new round of investment plans, It is foreseeable that most of the investment in the future will shift from first-tier cities to second-tier and third-tier cities and counties, townships and townships that are in urgent need of reconstruction. However, these areas are very different from traditional markets (first-tier cities) such as relatively weak traffic and equipment. The divisions are small and scattered, and the equipments have large spans of work locations. With this change in market focus, construction machinery companies should pay more attention to product after-sales services to increase the recognition of brand new products in the â€œnew marketsâ€ and strengthen usersâ€™ confidence in purchasing new machines, such as this yearâ€™s China Unicom. Leading companies such as Keke, Xugong, Sany, and other leading Chinese construction machinery companies have launched a variety of delivery services and care activities that are mainly targeted at â€œnew marketâ€ users to strengthen communication with users. In recent years, with the rapid development of China's construction market (such as larger and larger projects, shorter and shorter construction periods, and higher and higher levels), the domestic market has increasingly higher requirements for construction machinery products, as opposed to comrade products. In terms of individualized products that can meet special requirements and operations, they are more favored by the market. For example, Zoomlionâ€™s recently launched 101 meter concrete pump truck not only refreshes the Guinness Book of concrete pump truck boom length, but also because Carbon fiber composite materials, so the performance in actual use is more outstanding (carbon fiber specific gravity is less than 1/4 of steel, but the tensile strength is 7-9 times that of steel). And the role of such personalized products in the construction site is often irreplaceable. Like on the construction site of the Wuhan Central Tower, the tallest building in Central China, on July 28, the Zoomlion 101 concrete pump truck has completed its â€œfirst showâ€. (In the eyes of all the people, the 101 concrete pump truck has completed 80 The task of pouring concrete on the buildings of Migao) This special operation can be described as a piece of cake for a concrete pump truck with a boom over 100 meters, but it may be a difficult task for ordinary concrete pump trucks. According to Chen Xiaofei, vice president of Zoomlion and general manager of Concrete Machinery Co., Ltd., if the 101-meter concrete pump truck is used, the pouring can be completed for only 30 floors and below. This will greatly increase the construction speed and the construction quality. It is also very secure. Therefore, it can be said that the development of personalized products not only can prove the strength of a company, but also can better serve the market and meet the needs of the market. Although from the perspective of the voices issued by the central government, transportation departments, and local governments, investment in the future will gradually increase to become a trend. However, for the foreseeable period, the central government will not implement large-scale stimulus investment plans. Local governments also have a high general debt ratio. Therefore, project construction throughout the country is unlikely to be as high as the old four trillion yuan period, and different characteristics will occur in different regions and times. For Chinese construction machinery, it is difficult to see a rapid and full recovery. Relatively, there may be a slow long-term recovery or a stratified recovery. (As early this year, the sales of mini-excavators were extremely hot, sales of other types of products are still sluggish.) 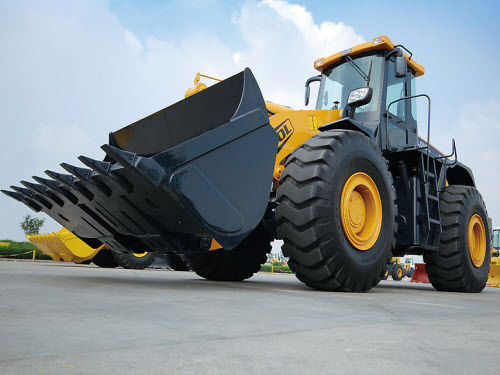 Therefore, construction machinery companies should always "steer" the market, be cautious of all changes in the market, and should make every effort to avoid repeating the old road. Our main approach is blue disk. Steel pipe joint. 150LB THRF Flange is neck-threading flange, pressure 150LB according to ANSI B16.5,and we produce ANSI,JIS, EN, DIN flanges. We have strict quality management system, won a lot of customer recognition, over the same period the company won three national patents. Next: How does Changhe Hebei Changan differ?